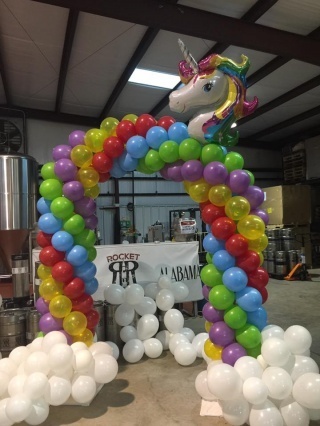 Adorn your venue with delightful balloon decorations from Event Essentials/Two Ladies & A Helium Tank in Huntsville, AL. In addition to event planning, we offer customized balloon arrangements for our clients. You don’t have to look elsewhere to have all your party concerns covered. 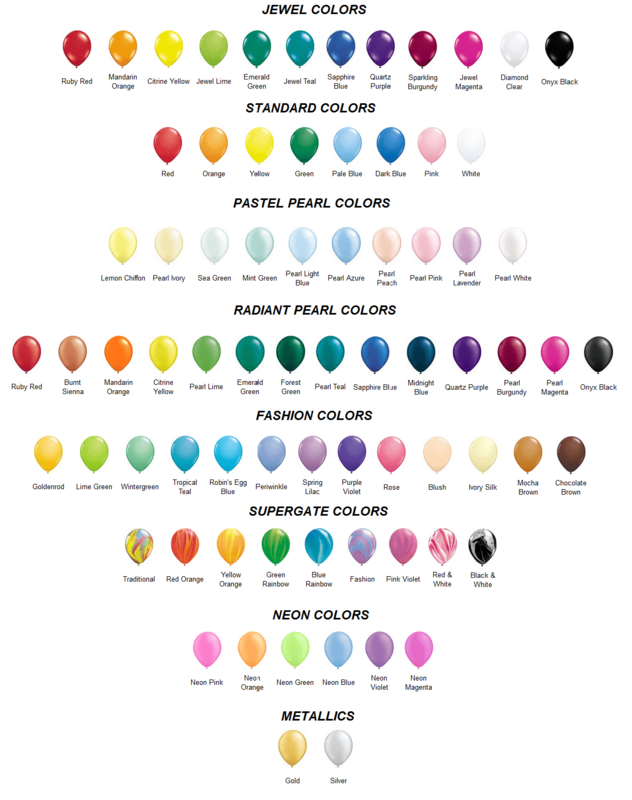 We have created balloon designs for prom themes such as “An Evening in Paris,” “Luck Be a Lady,” and “Nautical Nights”. Our decorations also add an elegant touch to weddings. Balloon décor can also be an alternative to flowers. Balloons also make birthday parties, anniversary celebrations, or family reunions more festive. We can also decorate corporate venues including showrooms or office spaces. You don’t have to worry about spending too much because we have options for every budget. 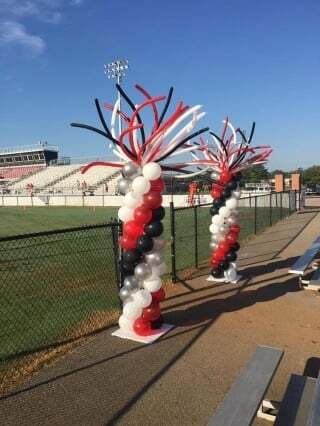 Columns are free-standing balloon sculptures artfully arranged and supported by a thin pole. This décor can be used to accent entrances and dance floors. You can choose from a variety of colors and accessories. View more samples of our columns. 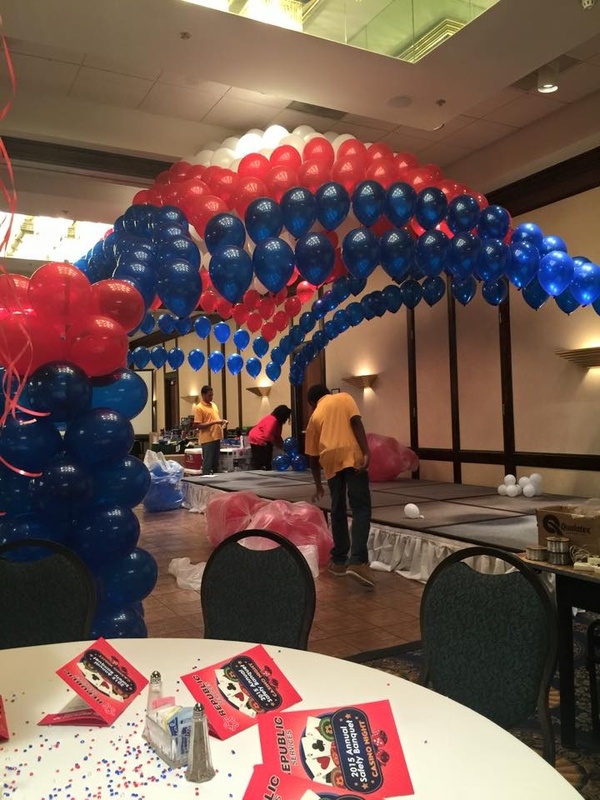 Arches are floating arcs of balloons that can be used for backdrops, tables, entrances, or dance floors. This décor can be arranged to form a spectacular tunnel or a dazzling rainbow. An assortment of designs and colors are available. See samples of our arches. A balloon canopy is an elaborate combination of columns and arches. Canopies can border a dance floor or fill an entire room. Talk to our decorators to learn more. You may also view samples of our canopies for more details. Sculptures are balloons formed into letters, animals, and other designs. You’ll be amazed at how versatile balloon art can be. 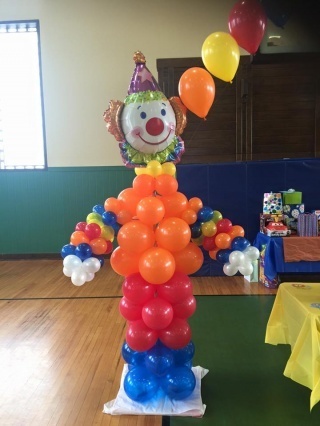 Whether you need quirky ornaments or formal balloon décor, our balloon artists can craft whatever you have in mind. View our sculptures today. Make your next family reunion, birthday party, or company picnic more fun with bounce houses from Event Essentials! Every bouncy house is guaranteed clean and safe for your guests to enjoy. Our professional and friendly staff will set up and deliver your rental so you can have more time to enjoy your event. For well-designed balloon décor, turn to Event Essentials/Two Ladies & A Helium Tank today! Contact our balloon artists and decorators for more information about our products. You may also get in touch with us to inquire about our event management services.